Support the show, consider donating: BTC: 1CD83r9EzFinDNWwmRW4ssgCbhsM5bxXwg (https://epicenter.tv/tipbtc) BCC: 1M4dvWxjL5N9WniNtatKtxW7RcGV73TQTd (http://epicenter.tv/tipbch) ETH: 0x8cdb49ca5103Ce06717C4daBBFD4857183f50935 (https://epicenter.tv/tipeth) Human beings have a penchant for creating lists. We make lists for things like the top music artists at any given time, the best restaurants in the world, companies which people can trust, and the most wanted criminals. Lists take many forms. They can be maintained by a single authority, or curated by a crowd. But almost always, they remain in the custody of a central party. Token Curated Lists propose a model by which a) the content of lists are decentralized, and b) contributors are incentivized to curate their content according to social consensus. We're joined by Simon de la Rouviere, an independent researcher and blogger. Previously, Simon was one of the first employees at ConsenSys and founded Ujo Music. He also contributed to the ERC20 token specification and has written about blockchain and token economics since 2014. In recent months, Simon's research has focused on Token Curated Registries (or TCRs), and the economics of curation markets. 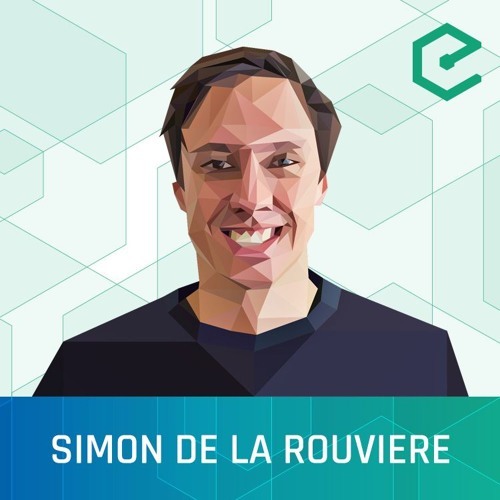 Topics discussed in this episode: - Simon's background and interest in blockchain, music, and economics - Bonding curves as a mechanism for continuous token issuance - Curation markets and how they relate to bonding curves - Practical applications of curation markets - The connection between curation markets and cultural memes - Token Curated Registries and their applications - The role of TCRs as a crypto economic primitive - The economics and game theory of TCRs - Simon's recent project “This Artwork is Always for Sale” Links mentioned in this episode: - Simon de la Rouviere – Medium: http://bit.ly/2Z1OM1x - Bancor’s Smart Tokens vs Token Bonding Curves – Medium: http://bit.ly/2Z1OTKv - Introducing Curation Markets: Trade Popularity of Memes & Information (with code)! – Medium: http://bit.ly/2Z1P7RR - Ujo Music: http://bit.ly/2uXfJWy - This Artwork Is Always On Sale – Medium: http://bit.ly/2Z1PvzN - This Artwork Is Always On Sale: http://bit.ly/2Z1PDPN - Simon de la Rouviere – Twitter: http://bit.ly/2uSVHwl Sponsors: - Azure: Deploy enterprise-ready consortium blockchain networks that scale in just a few clicks - http://aka.ms/epicenter This episode is also available on : - Epicenter.tv: https://epicenter.tv/282 - YouTube: - Soundcloud: http://soundcloud.com/epicenterbitcoin/eb-282 Watch or listen, Epicenter is available wherever podcasts are distributed. Epicenter is hosted by Brian Fabian Crain, Sébastien Couture, Meher Roy, Sunny Aggarwal & Friederike Ernst.